Welcome to another episode of the Adventureland Moms Podcast! I have exciting news this week…. Our podcast is offcially on iTunes! And Google Play! We are now just working on getting on Stitcher. Before I talk about what we talked about in this episode, please be sure to leave us questions for the podcasts in the comment section either here or if you view the podcast on YouTube. We plan to answer some questions at the end of each podcast, as long as we have some time. In this episode of the Adventureland Moms Podcast we are talking about how Michaelyn took on the 4 parks in 1 day challenge at Walt Disney World. What did the day look like? Did they utilize Fastpass Plus? Then we talk about my family taking over a year off from Disney. Why did we decide to do it and will we be going back anytime soon? 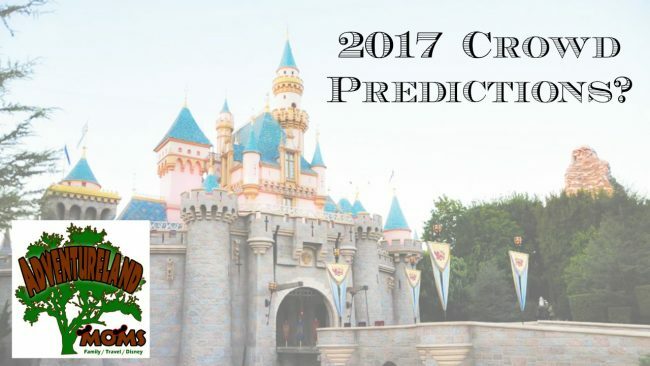 Finally we are talking about our tips for visiting Disneyland at Christmas and our 2017 crowd predictions. Will people be going in 2017 or will they wait for Star Wars Land to open? Find out what we think Disney did to ensure Disneyland will remain a popular destination in 2017.